In Panama for World Youth Day, Pope Francis drove home his message that faith in Christ demands engaging in the struggle for justice, peace, ecological sustainability, and social equity. His visit to Panama 23-27 January 2019 was short, but he was determined to help mobilise the social conscience of Latin Americans for a renewed commitment against poverty and injustice. By extolling the example of the 1980 martyrdom of Archbishop Oscar Romero in El Salvador, Francis highlighted that work for social justice, equity, and human rights was at the core of the Gospel. Many of the political and business elites in Latin America, including those in the right-wing populist regimes, as well as President Maduro in Venezuela, would be furious to hear Francis insisting on Catholics embracing their social responsibility vigorously, including through political reform. The newly elected President of Brazil, Jair Bolsonaro, has already changed legislation protecting indigenous peoples in favour of major agribusinesses and commercial interests, presaging sharp conflict with Church and indigenous networks. 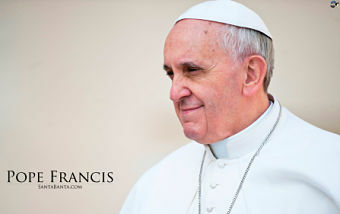 Francis insisted on the rights and importance of indigenous communities, especially in preserving and managing the earth’s natural resources and forests. Reiterating themes from his 2015 document Laudato Si’, he sees indigenous peoples as critical in the fight to preserve an ‘integral ecology’. He has called for a special consultative Synod of the Church in the Pan-Amazonian region in October 2019, involving nine countries of Latin America. The region is home to 34 million people, with more than three million indigenous people from 390 ethnic groups. Francis hopes this Amazon Synod will energise other parts of the world to resist powerful special interests destroying forests, rivers and natural resources that are vital for the Earth’s life support systems. Francis has long greatly admired Romero for his commitment to the poor and solidarity with people oppressed by rich elites and murderous military regimes. In October 2018, he recognised Romero as a saint, and in Panama held him up as an inspired model for all, not just for Catholics. 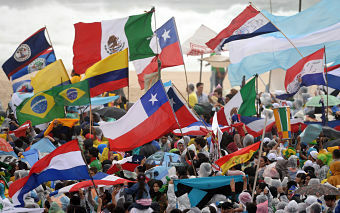 During his visit for World Youth Day, Francis spoke not just to the tens of thousands of young people, but also to the whole continent of South and Central America. He addressed the civil authorities and diplomats on 24 January, urging Panama to ensure all can become “agents of their own destiny”, with access to education and dignified jobs, particularly for indigenous peoples. He insisted that “public service is a synonym of honesty and justice, and opposed to all forms of corruption”. He warned against being “seduced by resignation or greed”, whereby the powerful feed upon the powerless. Speaking to the bishops of Central America, Francis drew from Romero’s writings that pastors must be transformed by the suffering of their people. He said Romero had been “suspected and excommunicated in the private whispers of so many bishops”. But now, he was a compelling witness for all who truly serve the people. Francis is not blind to the many ills facing these countries: “domestic violence, the killing of women – our continent is experiencing a plague in this regard – armed gangs and criminals, drug trafficking, the sexual exploitation of minors and young people, an economic system that did not prioritise persons and the common good, but made speculation its ‘paradise'”. As for mass migration, Francis summarised his vision for receiving countries in four words: “welcoming, protecting, promoting, and integrating”. Finally, Francis criticised strongly putting “a religious and ‘pious’ veneer over the desire for power and influence”. Instead, Romero “calls us to examine our consciences about our decisions and priorities in the use of our resources, influence, and position”. Speaking specifically to youth during the Way of the Cross on 25 January, Francis said Christ “identified … with all those who suffer, with all those who feel forgotten”, from unborn children to women “mistreated, exploited, and abandoned”, the young denied education and dignified work, those exploited and abused, including by some who claim to serve God. The Way of the Cross “continues in the indigenous peoples whom others strip of their lands, roots, and culture, ignoring and silencing the great wisdom they can bring”. Echoing ideas from Laudato Si’, Francis urged everyone to listen to “the plea of our mother earth … trampled under foot by disregard and fury of consumption beyond all reason”. Far from seeing religion as a solace for the oppressed masses, as Karl Marx wrote, Francis declared on 26 January in the Cathedral of Santa Maria La Antigua that faith impelled believers to respond “to life with the passion of being engaged with history, immersed in things. With the passion of lovers.”. At the closing Mass on 27 January, Francis urged his listeners to take their part in “proclaiming good news to the poor … bringing liberty to the captives and recovery of sight to the blind, setting at liberty those who are oppressed”. Christ “demands that we be concerned with our surroundings, everyday affairs, and above all fraternity”. He urged youth not to be tranquilised, but to fight for spaces which encourage dialogue and exchange, while working for a renewed world.